A reblast from the past in honor of the Gorgeous One's induction into the 2010 Wrestling Hall of Fame. "... all it takes is a wink or a nod from some unexpected place to vary the tedium of a baffling existence. 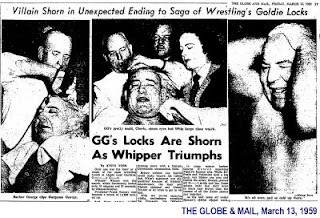 That happened to me when Gorgeous George the great wrestler came to my hometown. In the mid-50s, I was performing in the lobby of the National Guard Armory, the Veterans Memorial Building, the site where all the big shows happened - the livestock shows and hockey games, circuses and boxing shows, traveling preacher revivals, country-and-western jamborees. Once a year or so, Gorgeous George would bring his whole troupe of performers to town: Goliath, The Vampire, The Twister, The Strangler, The Bone Crusher, The Holy Terror, midget wrestlers, a couple of lady wrestlers, and a whole lot more. I was playing on a makeshift platform in the lobby of the building with the usual wild activity of people milling about, and no one was paying much attention. Suddenly the doors burst open and in came Gorgeous George himself. He roared in like the storm, didn't go through the backstage area, he came right through the lobby of the building and he seemed like forty men. It was Gorgeous George, in all his magnificent glory with all the lightning and vitality you'd expect. He had valets and was surrounded by women carrying roses, wore a majestic fur-lined gold cape and his long blond curls were flowing. He brushed by the makeshift stage and glanced towards the sound of the music. He didn't break stride, but he looked at me, eyes flashing with moonshine. He winked and seemed to mouth the phrase 'You're making it come alive.'" "I am the Greatest Wrestler in the World!" "If this bum beats me, I’ll crawl down Las Vegas Boulevard on my hands and knees. But it won’t happen. I’ll tear his arm off. For I am the greatest wrestler in the world!" Like the young Dylan, the young Ali was entranced by George's rhetoric, and became even more enthusiastic when he discovered that George regularly sold out wherever he appeared. Taking up George's invitation, Ali went to see his match and, as he later remembered, "I saw 15,000 people coming to see this man get beat, and his talking did it. I said, 'This is a g-o-o-o-d idea!'" 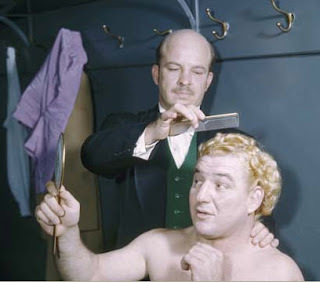 Gorgeous George's influence can also be seen in Little Richard, James Brown, and Liberace, as well as nearly every other sports or entertainment figure - such as Elton John - who ever adopted a flamboyant, outrageous style. Gorgeous George was born George Wagner in Seward, Nebraska on March 15, 1915. He began his wrestling career during his teens - often competing at local carnivals, where the prize purse averaged 35 cents. By age 17, George was getting bookings through the area's top promoter. At 5'9' and 215 pounds, Wagner was not all that an imposing a figure, but he developed a reputation as a solid wrestler, and by the late `30s he had legitimately captured two regional titles. He also met his first wife, Betty Hanson, who George subsequently married in an in-ring ceremony. That turned out to be so popular that the couple incorporated the wedding into their tour and would re-enact it in arenas throughout the U.S. Seeing how show biz elements helped draw crowds may have started George thinking about developing a more memorable shtick than simply straight wrestling. At least one report has it that he got the idea for an effeminate, dandy villain wrestler after reading an article about a now-forgotten contemporary who wrestled under the name Lord Patrick Lansdowne, and who would appear at bouts as a British Lord attended by a valet. Also known as "The Human Orchid," George debuted his new persona in 19 and 41 in Eugene, Oregon, and was instantly slapped with the title "Gorgeous George" by a bemused ring announcer. George rapidly became the villain crowds loved to hate. 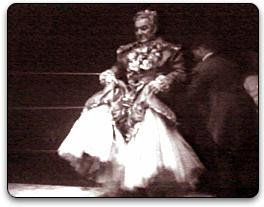 One of the first wrestlers to use the type of flamboyant entrance now common in pro wrestling matches, George would arrive to the strains of Pomp and Circumstance, escorted down a personal red carpet by his ring valet “Jeffries,” who would carry a silver mirror for George to gaze upon as rose petals were strewn at his feet. These entrances often took longer than the actual bout, as George still had to exchange taunts with the crowd, have Jeffries spray the ring and unwilling opponent with disinfectant which George claimed was "Chanel #10." The show would culminate in George's refusal to let the referee inspect him for foreign objects unless he was also doused by Jeffries while George shrieked in horror, "Keep your filthy hands off me!" Eventually the match would begin, and George would brazenly ignore the rules while chanting his motto to the audience: "Win if you can, lose if you must, but always cheat!" It was an outrageous, larger-than-life act, tailor-made for the new medium, television. Gorgeous George would become the biggest drawing card of the wrestling industry, as well as one of its first genuine stars. It's been claimed that Gorgeous George was responsible for selling as many TV sets as Milton Berle, Mr. Television, himself. By the '50s, Gorgeous George was earning over $100,000 a year, making him that decade's highest paid athlete. 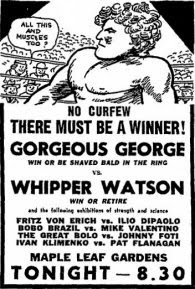 His most famous match would take place in 1959 before 14,000 fans and millions of television viewers where he would be defeated by longtime rival "Whipper" Billy Watson and would lose his treasured platinum locks to the Whipper's razor. Although he would wrestle for three more years, and in fact, knowing a good crowd-pleaser when he saw one, would lose his hair to an opponent's razor twice more in those three years, age and a tough lifestyle eventually caught up with the Gorgeous One. George retired in 1962, bought into a turkey ranch and opened a cocktail lounge in Van Nuys, California, "Gorgeous George's Ringside Restaurant," where he would entertain customers with card tricks. Gorgeous George passed away on December 26, 1963 at age 48. Although he had made millions during his wrestling career and for a time was probably the most recognizable entertainer on the planet, Gorgeous George would die broke. He was buried at Valhalla Memorial Park in North Hollywood, California, the final resting place for several other celebrities including Oliver Hardy; Curly Joe from The Three Stooges; and in a coincidental Dreamtime connection, Cliff ("Ukulele Ike") Edwards, the voice of Jiminy Cricket, who also died penniless. Gorgeous George's grave can be found in plot 6657, near the northeast side of the fountain. 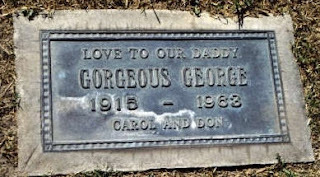 A plaque reads "Love to Our Daddy Gorgeous George." 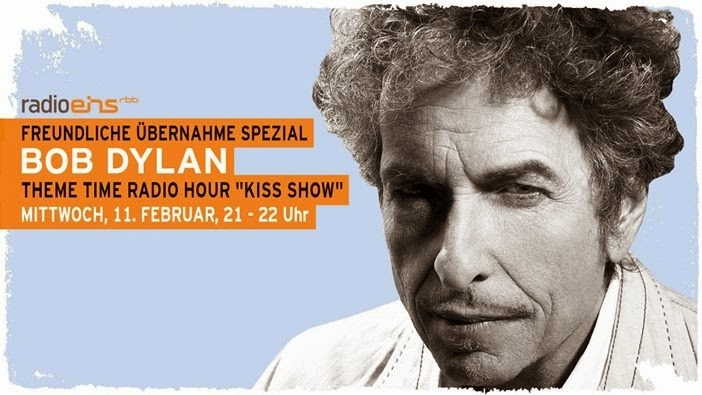 Audio excerpt from Chronicles: Volume One, read by Sean Penn.